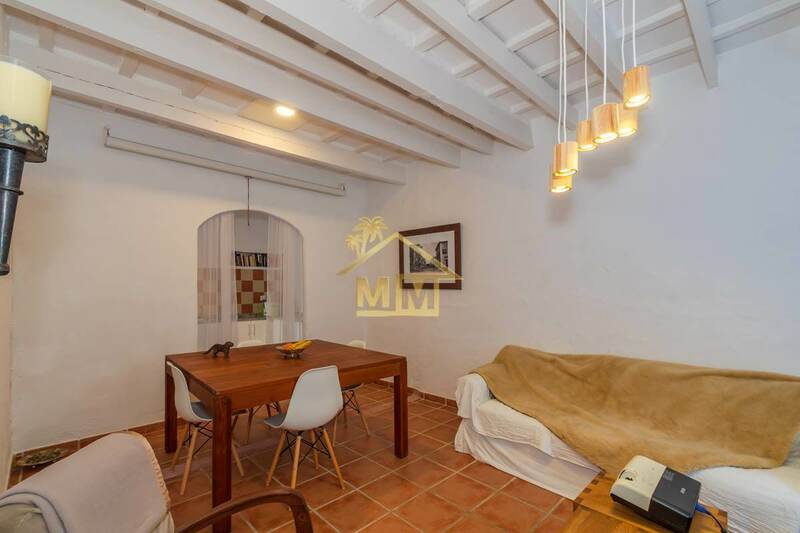 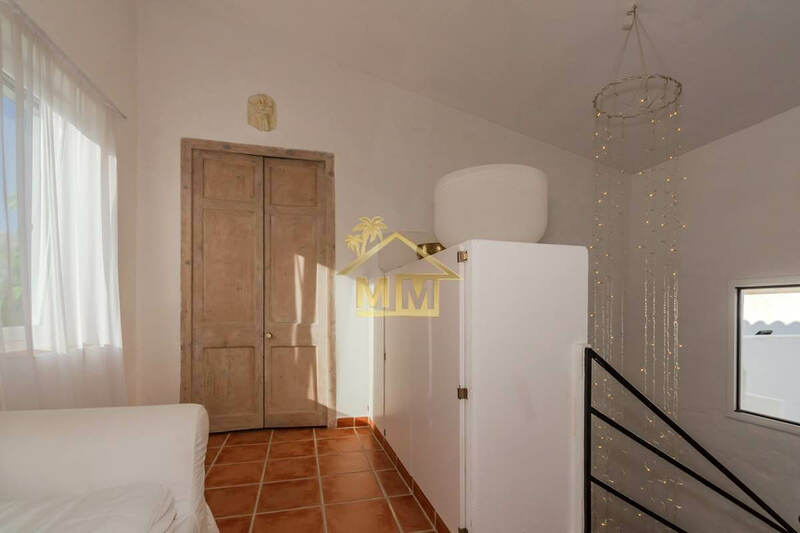 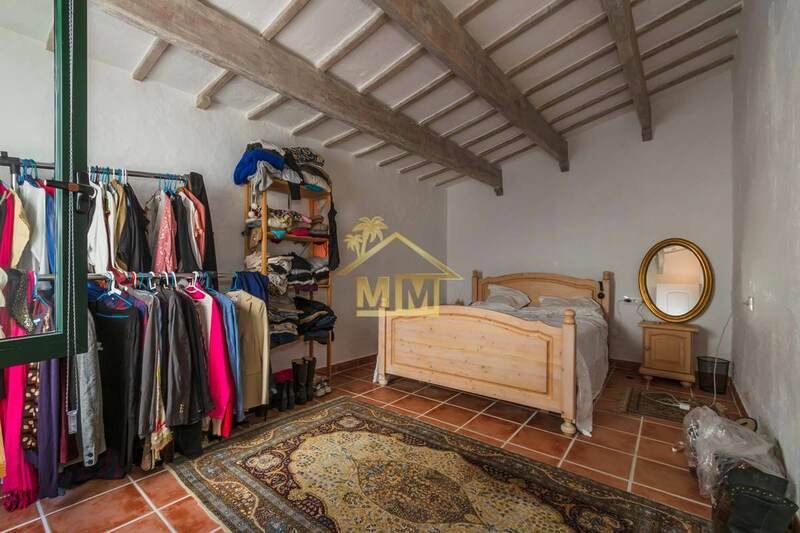 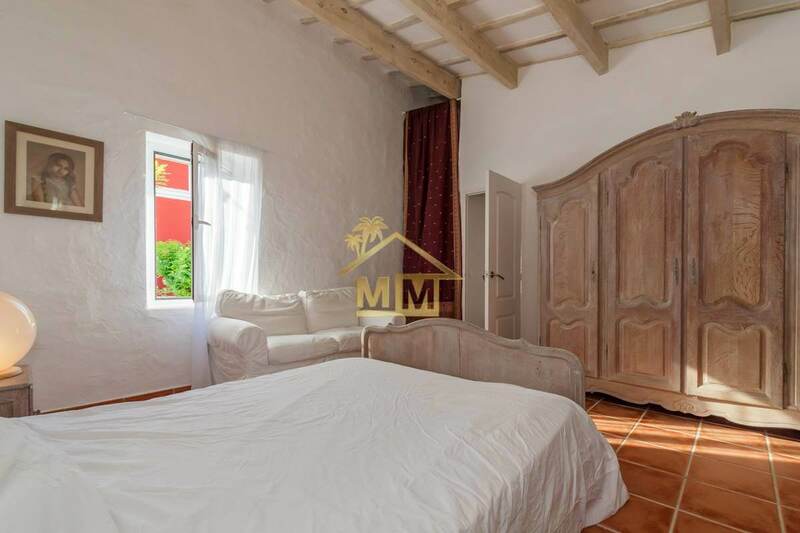 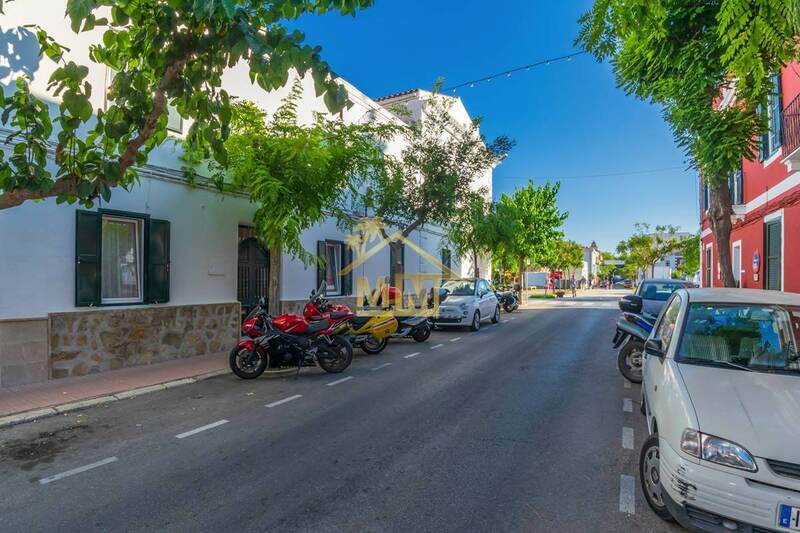 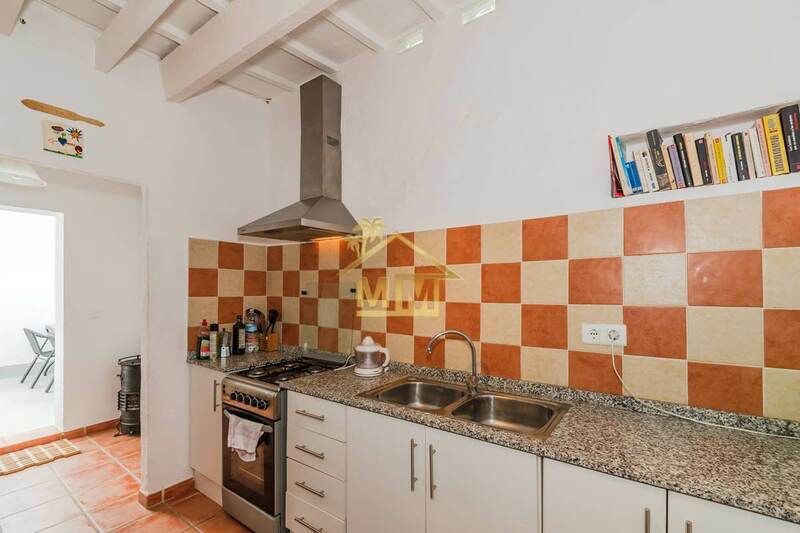 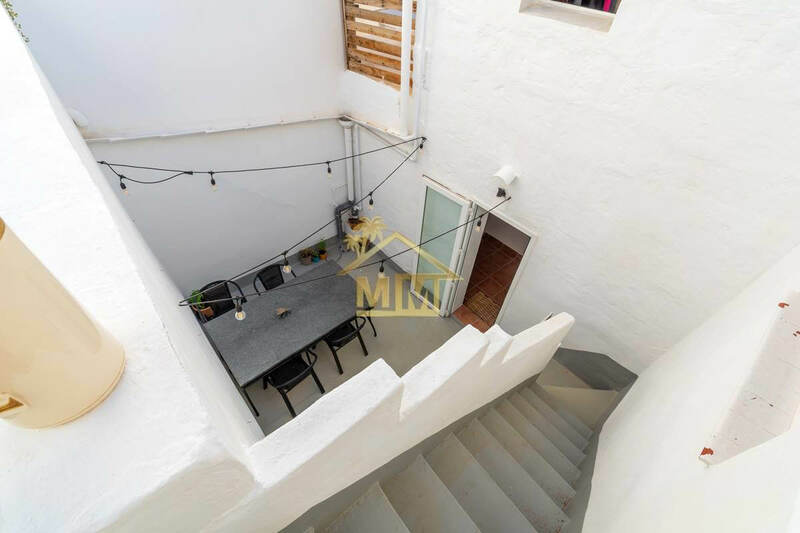 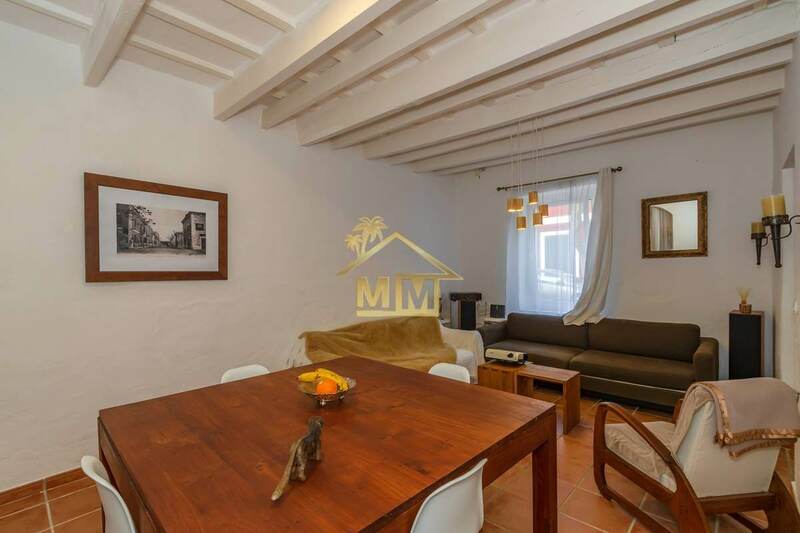 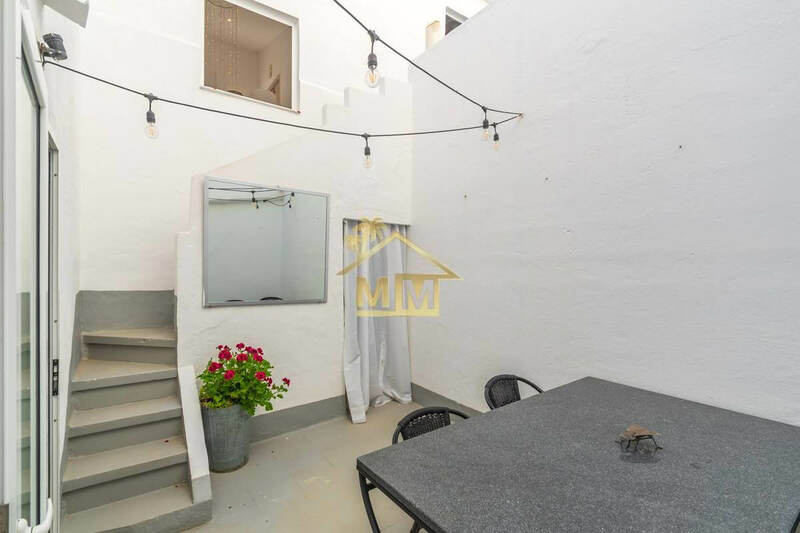 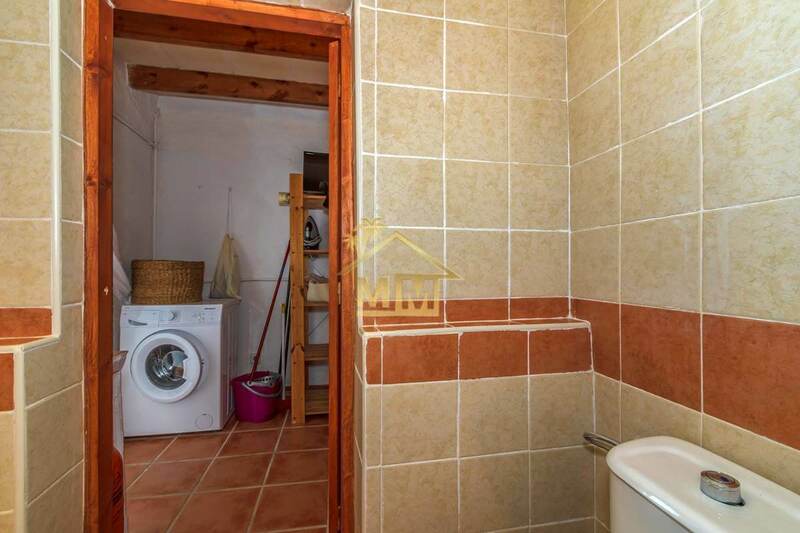 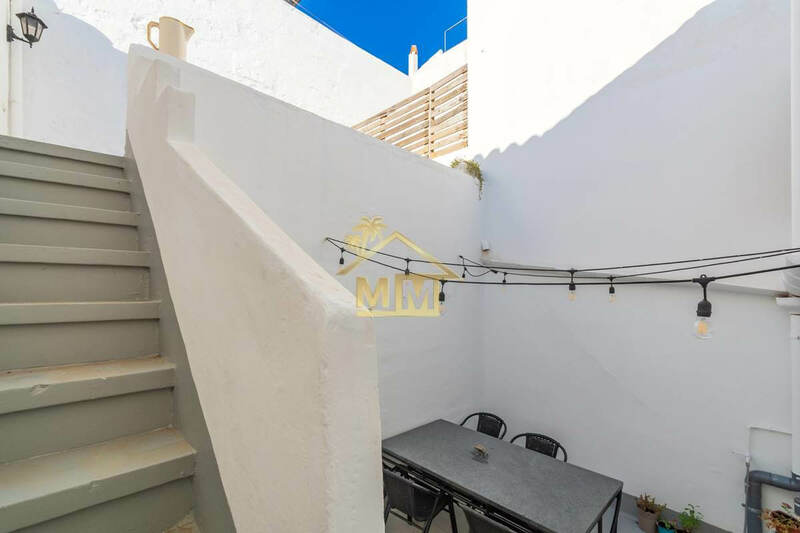 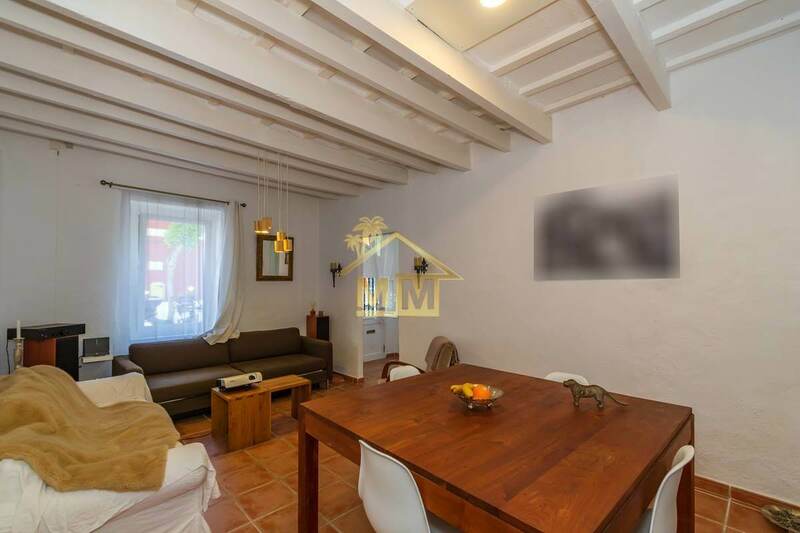 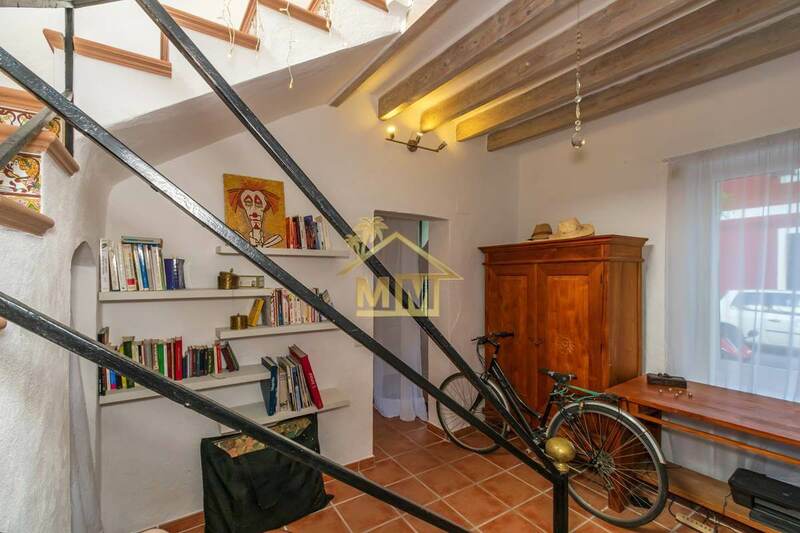 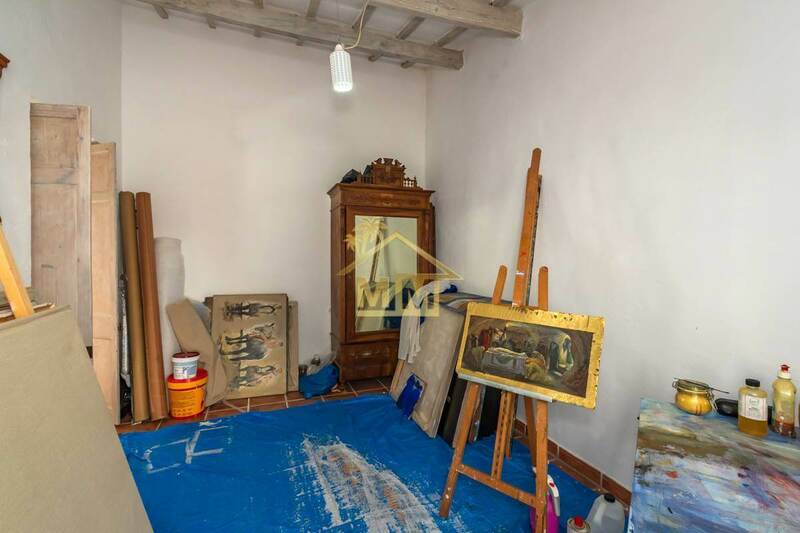 Beautiful town house of 213 m3 with possibility of extension located in a quiet road lined with trees in the centre of Es Castell and only 10 m from the main square. 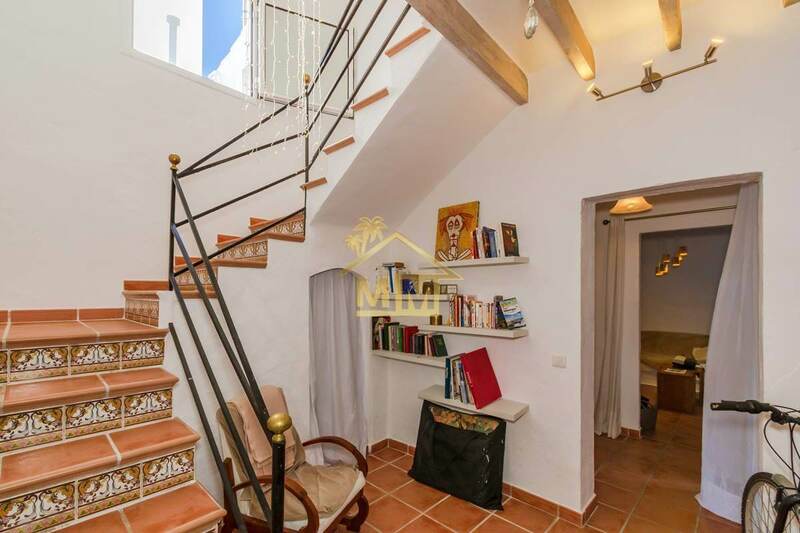 Cala Corb and Cales Fonts, are only 5 minutes’ walk. 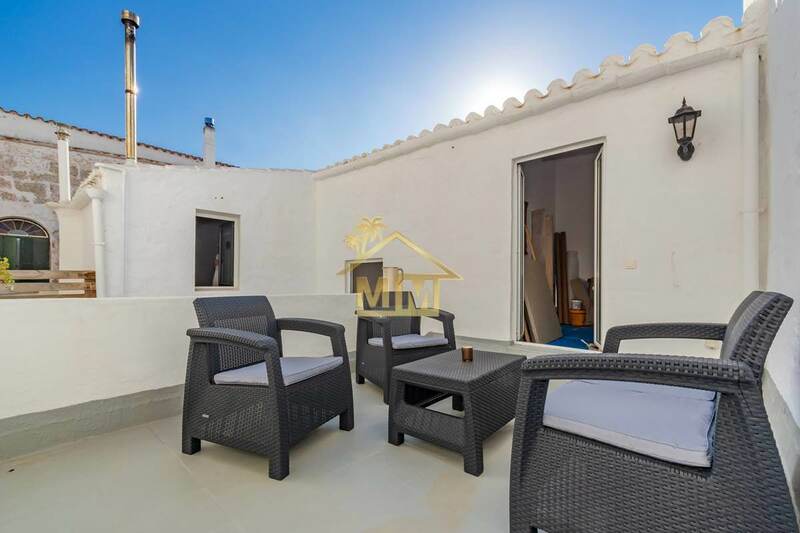 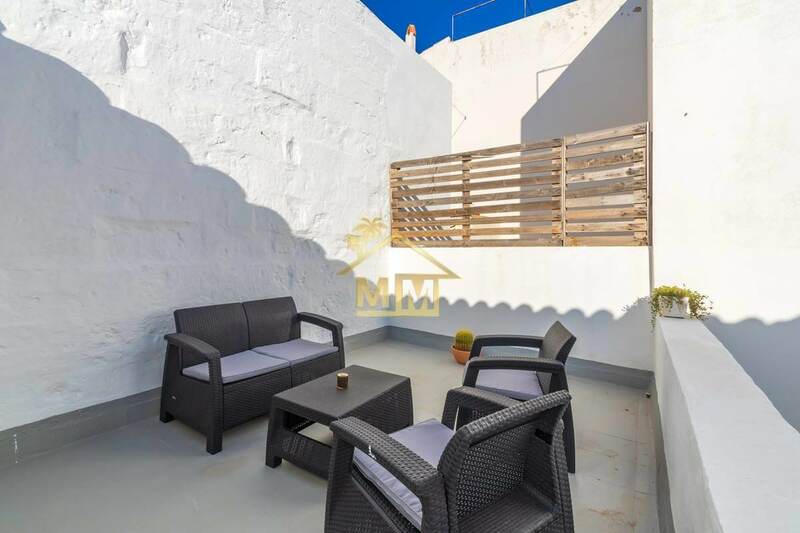 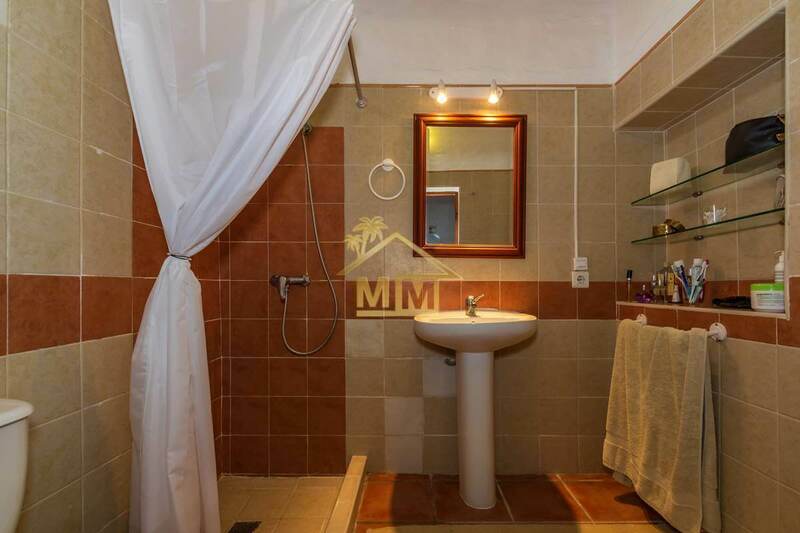 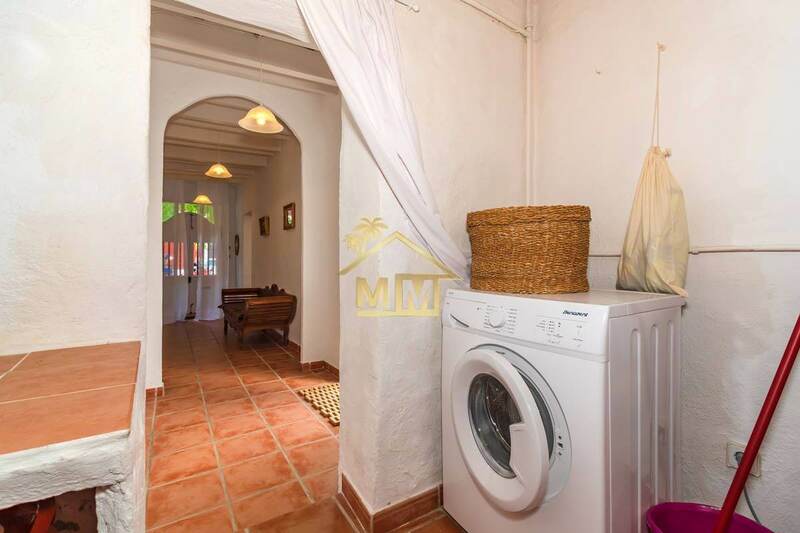 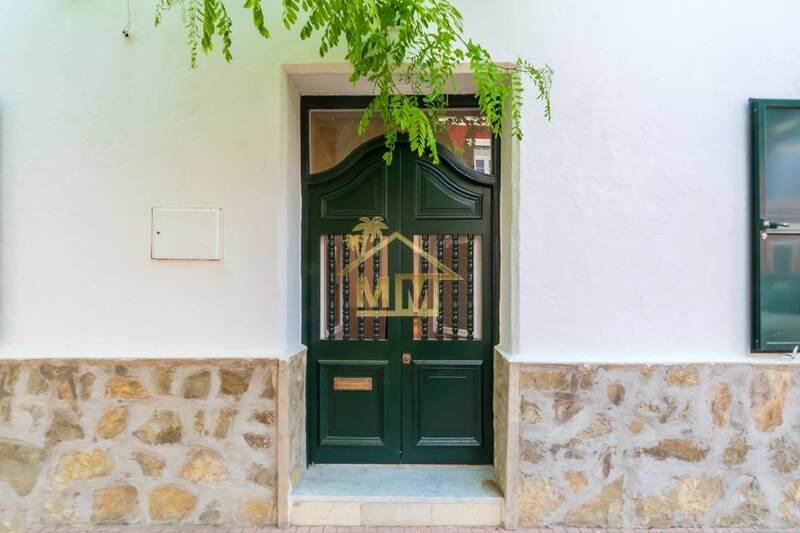 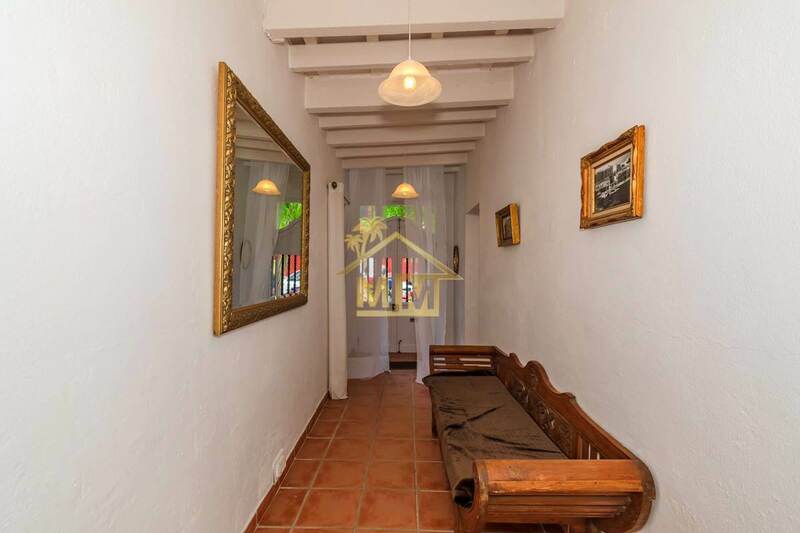 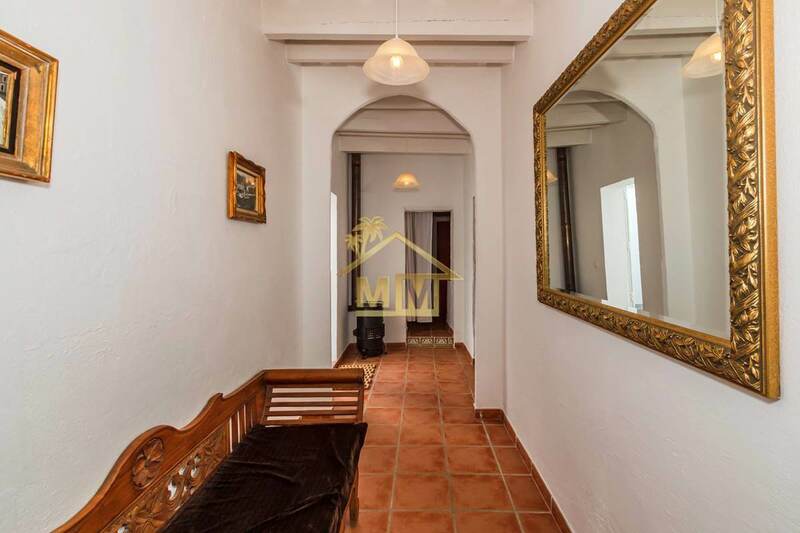 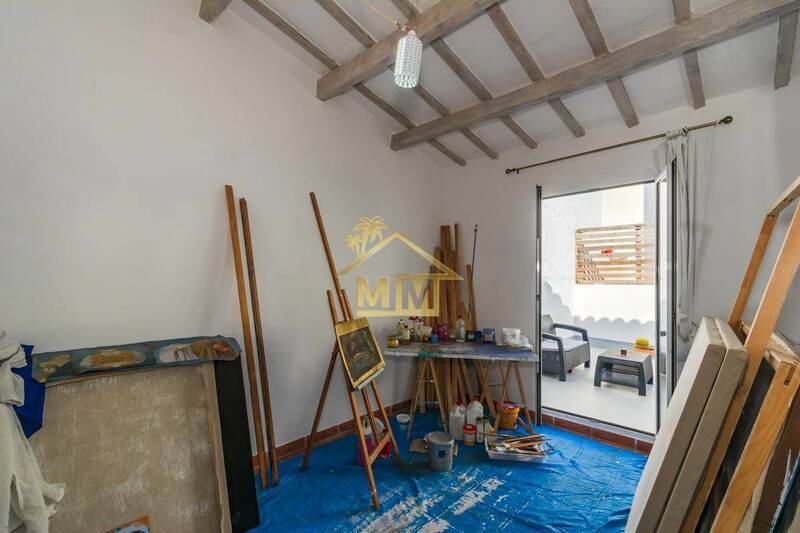 This charming property has an interior patio and a pleasant terrace on the first floor. 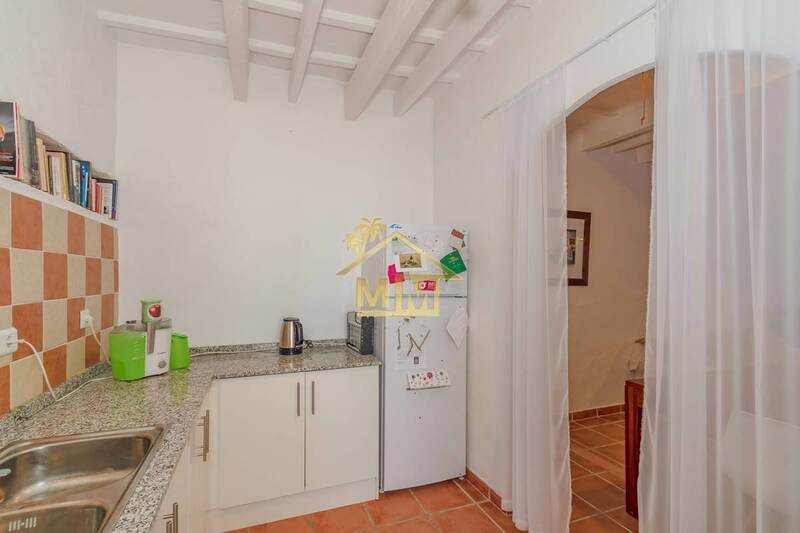 It consists of 3 double bedrooms, 1 bathroom, a spacious living-dining room and kitchen. 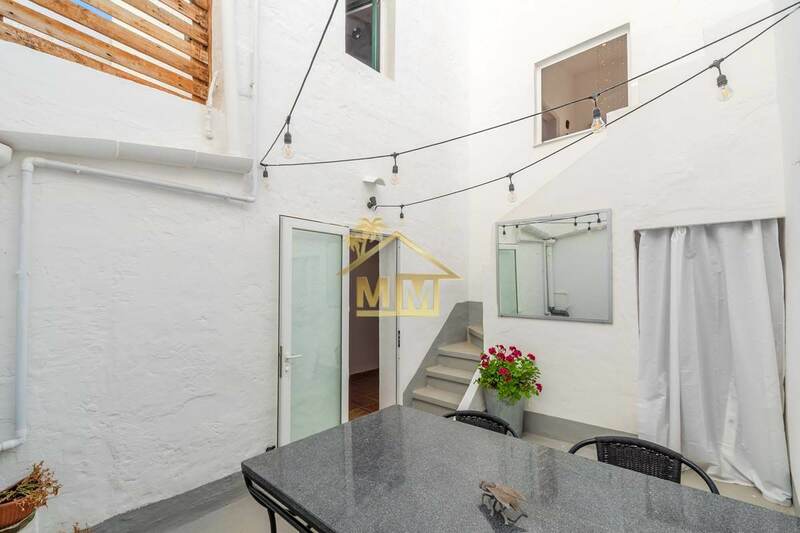 It also benefits from double glazing, a pellet burner, laundry room, exposed beams and the possibility of building a second bathroom and a lift.